Resident Evil: Franchise Reboot Confirmed!! The dead truly doesn’t sleep as Resident Evil: The Final Chapter was the finale to the Alice saga. It’s only been a few months since Paul W.S. Anderson and Milla Jovovich last Resident Evil movie, however, it isn’t the end of the franchise making its presence known. This time around the direction will be different as the previous series focused on Milla’s character, Alice trying to save the world from Wesker and the Umbrella Corporation. Many fans were hoping for an inevitable end to the franchise but didn’t expect it to end this early. According to Variety, the German film company, Constantin Film intends to reboot the franchise with the chairman Martin Moszkowicz confirming it at the Cannes Film Festival. Moszkowicz may not have shared any further details about the reboot but one can speculate to what direction they may go. Leon and Jill could be the focus of this new reboot or some new characters with the scoop being influenced by some of the epic video games that have been released over the years. Aforementioned, Resident Evil may have ended early but what’s unexpected is how much the film grossed outside of the United States. 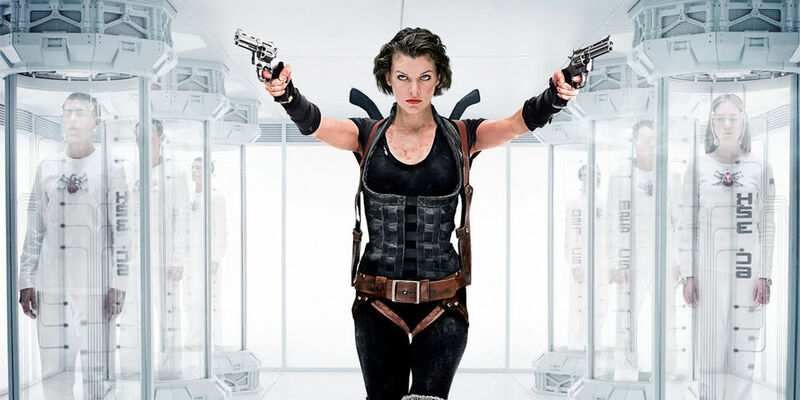 This year’s The Final Chapter was no different than other Resident Evil movies as it grossed $312 million—majority of which came from outside of the United States. The franchise itself has earned $1.2 billion worldwide to date, making it Europe’s most successful independent horror genre movie franchise in history and the highest grossing film series to be based on a video game. Like Terminator: Genisys and likely the reason for a Pacific Rim sequel, the key focus for a reboot of the Resident Evil franchise could be caused by the strong performance in China. Anderson has directed four of the six live-action Resident Evil movies and written all of them. Along with these several CG Resident Evil movies (unrelated to the live-action series) have been released with the next one being, Vendetta coming out in June. Also the most recent video game of the franchise as a whole, Resident Evil 7: Biohazard was released a few months ago.